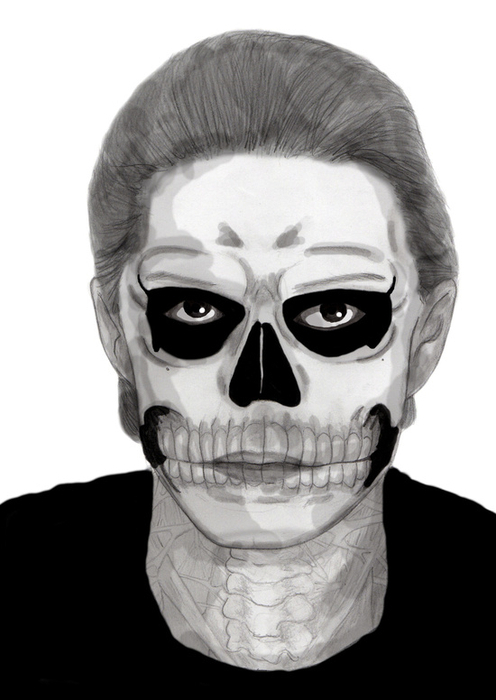 A black and white sketch of Tate Langdon from American Horror Story: Murder House. Tate Langdon is a patient of Ben Harmon harboring dark secrets. He is a main character in the first season (dubbed by fans "Murder House") portrayed by Evan Peters.